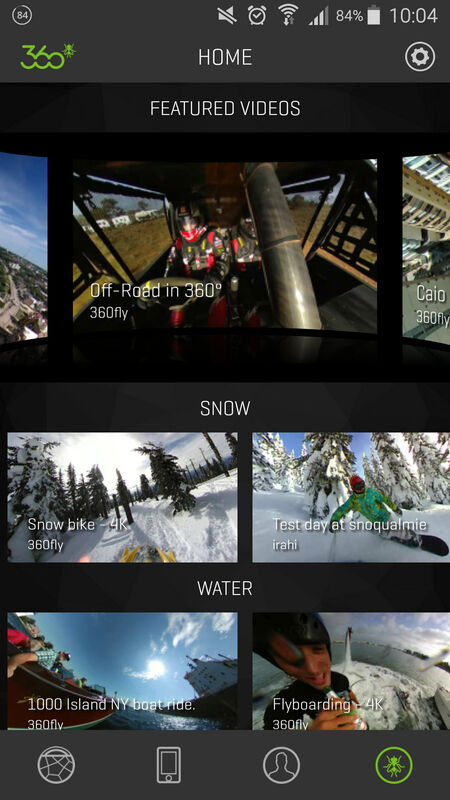 We review the 360Fly 4K action camera, the camera records 360 videos in 4K resolution, and is waterproof. 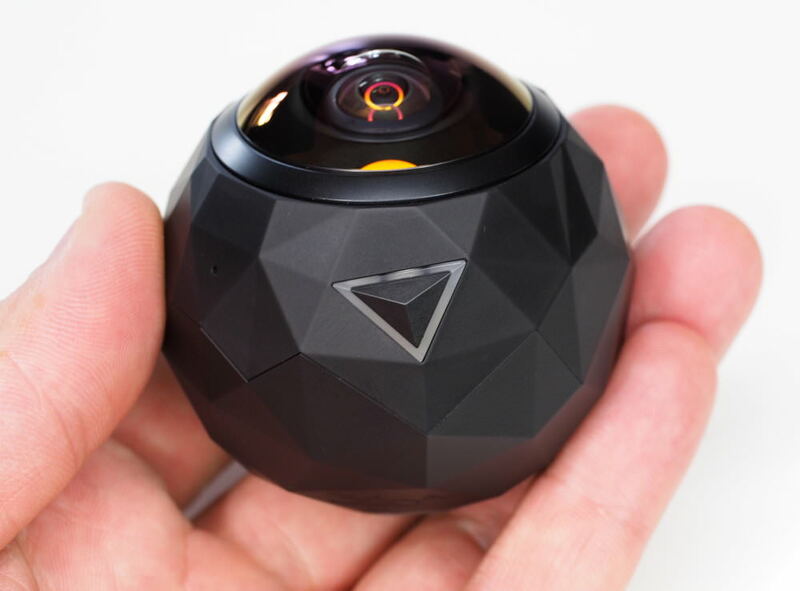 The 360fly 4K is the 4K / 16mp update of the 360fly - a 360 degree action camera that is dustproof, shockproof and waterproof (up to 3 feet / 1metre). 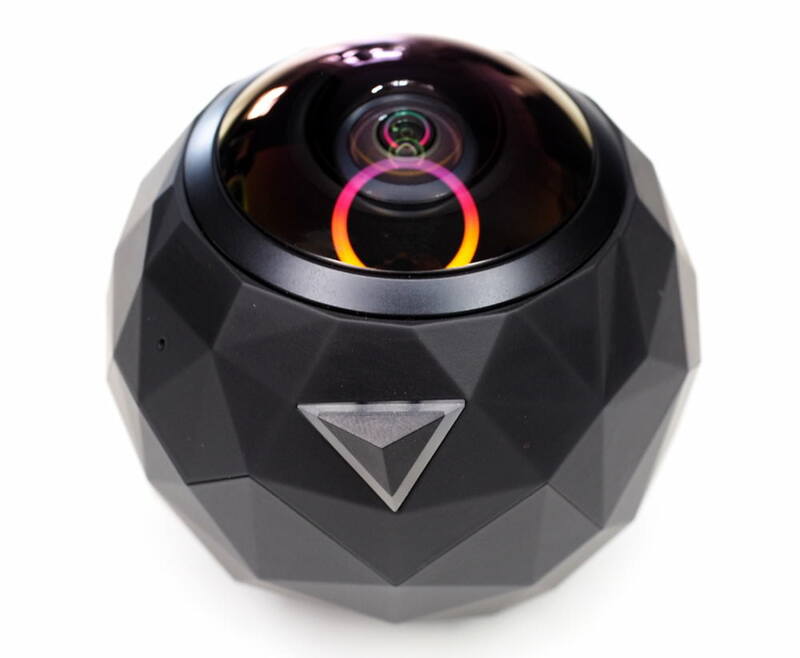 The 360fly 4K offers 360 degrees horizontally and 240 degrees vertically, and has a number of different recording modes including First-Person POV, Motion/Audio active, and Time-lapse mode. The 360fly 4K has 64GB of memory, built in telemetry sensors including e-compass and GPS. 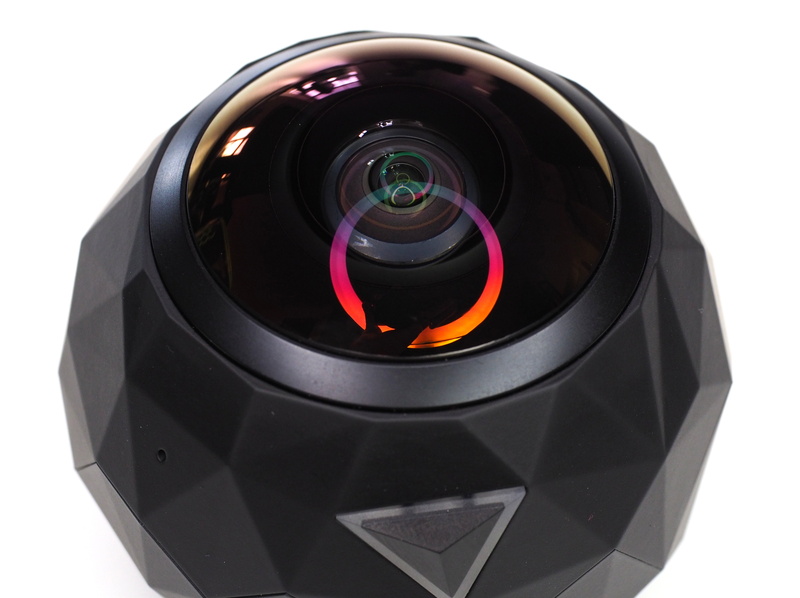 The 360fly 4K has a multi-part ultra wide-angle fisheye lens with an aperture of f/2.5, and a 360 x 240 degree view. 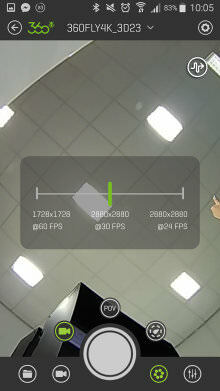 There's also image stabilisation, and a 16 megapixel CMOS sensor records a resolution of 2880x2880 pixels. There are dual omnidirectional microphones for stereo sound, and videos are stored on the camera's 64GB of internal memory - which gives up to 3 hours of 360 4K recording capacity. The built-in battery will last for 1 and a half hours. Video is recorded at 2880x2880 at 30fps at 50Mbps, with stereo sound, in H.264 format. 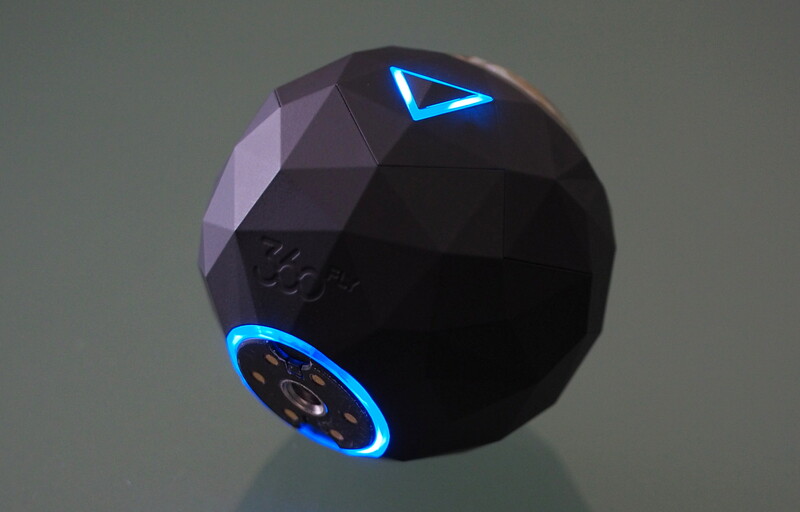 There are a number of sensors built in including an accelerometer, e-compass, non-assisted GPS, and gyroscope. The camera has built in Wi-Fi and Bluetooth connectivity so that you can connect it to a smartphone running Android or iOS. 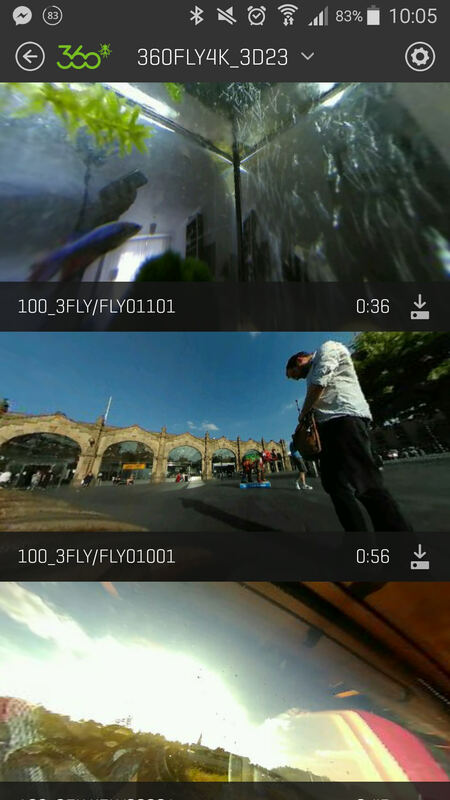 Using the app you can control the camera, as well as download videos and share to social media websites, including 360fly's own website. 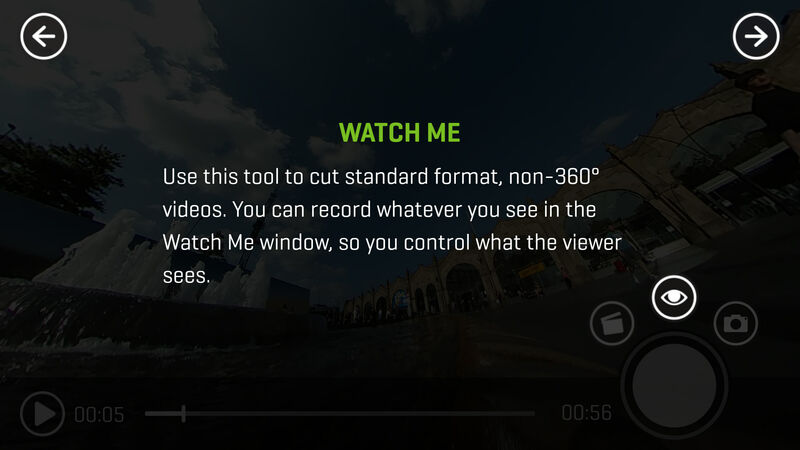 While watching the videos on a smartphone, the viewing angle can be changed in real time, and you can zoom in or out. You can also experience a whole recording as directly as possible, using a VR-system like Google Cardboard. The 360fly 4K features a tripod socket on the bottom, so you can use it with any number of standard tripods, and comes with an adapter compatible with GoPro mounts. 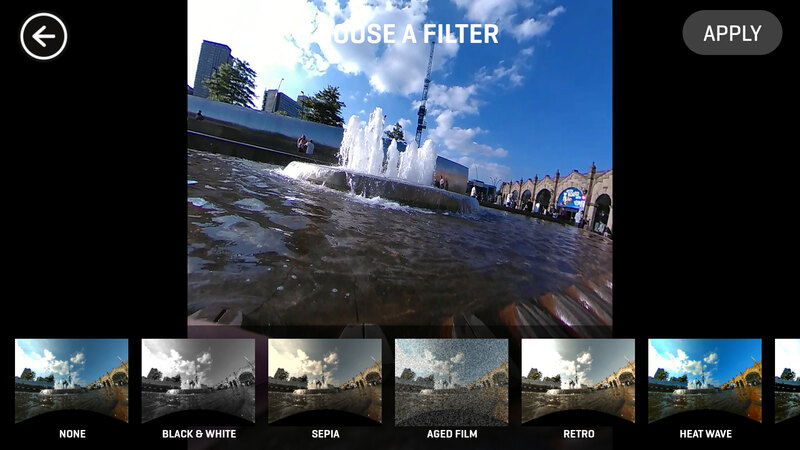 You can download the 360fly app for iOS and Android devices and watch other peoples videos to see what the viewing experience is like, even if you don't own a 360fly. Things you get in the box: 360fly 4K Camera, USB 2.0 Cable, Power Cradle, ACA (Action Camera Adapter), Carrying Pouch, Quickstart Guide, Warranty Card, and a set of stickers. To switch the camera on you simply hold the one button on the camera. The camera will vibrate to let you know that it's switched on, and the LED will change colour. You can connect the camera to your smartphone and control it from there or alternatively simply press the button on the camera to start and stop video recording. The camera feels very well built and has a good weight to it. With an angular design the camera is easy to grip, and the tripod mount is easy to use, with an adapter provided to connect to GoPro compatible accessories. The camera comes with a small USB dock that the camera attaches to magnetically. This lets you charge the camera, as well as connect it to your computer. There are no screens or menus on the camera, simply an on/off start/stop button and two LED lights. The LED lights have five different colours, that give you the status of the camera, with the blue light signifying the camera is ready, red for recording, and magenta being a battery low warning. 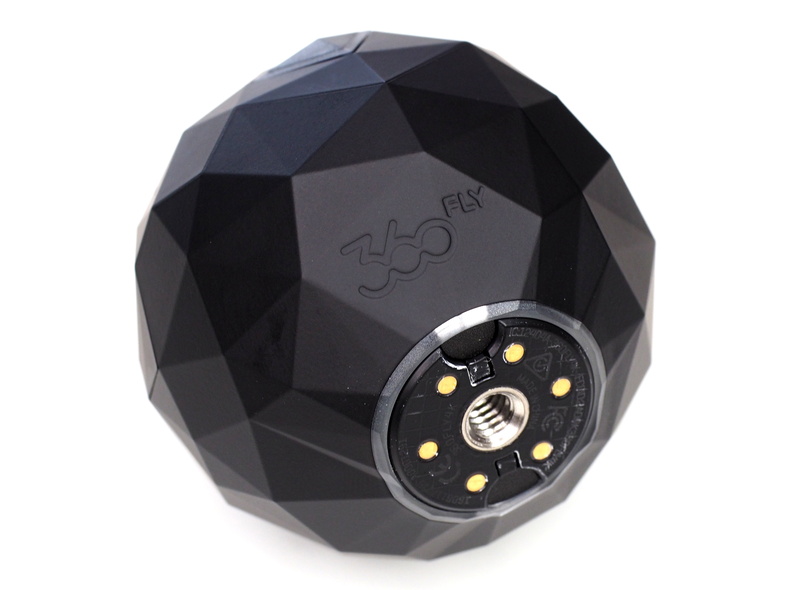 For more detailed information on the LED status, 360fly has provided a detailed guide. Available for download for free from the iOS and Android app stores, you need to setup the camera the first time you run the app. Setting up the connection is quite straightforward, and it's recommended you switch on Bluetooth on your phone (the app will ask you to switch this on, if you haven't already). Once connected over Bluetooth, the app will automatically setup a Wi-Fi connection to the camera for live view and downloading videos. 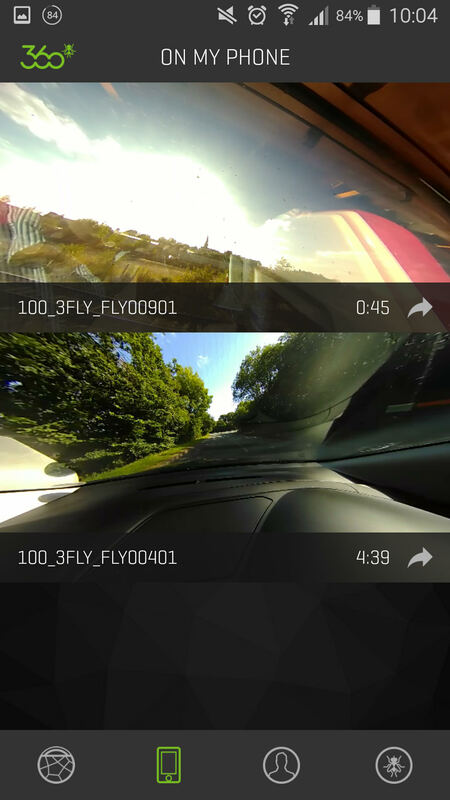 The first home screen on the app lets you view other 360fly videos on-line. Another tab lets you see videos you've downloaded to your phone, and there's a profile screen if where you can view your on-line profile and edit account settings. 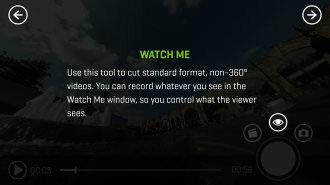 Using the bottom left button, you can connect to the camera and view the live view, or videos that are stored on your camera. From here you can download the videos. You can also edit and view the camera settings. Once you've downloaded the videos to your smartphone you can upload them to social media sites. 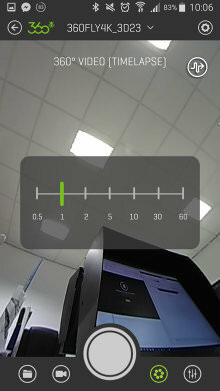 In the live view mode you can adjust brightness, ISO, exposure, contrast, and saturation. 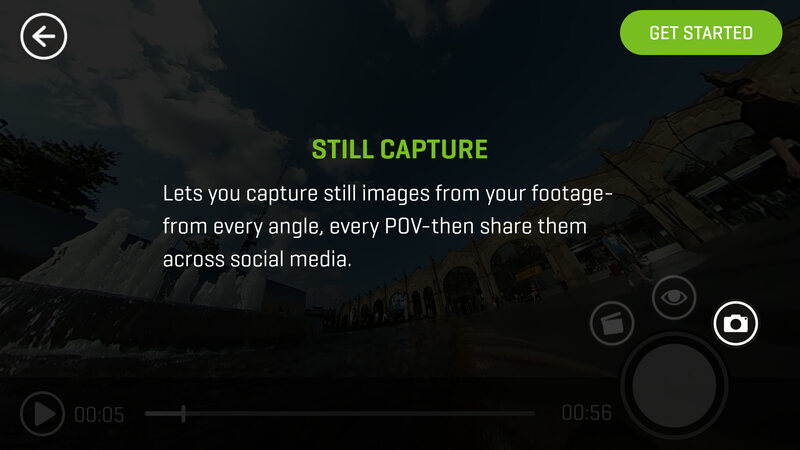 You can also take still photos from the video on the mobile app, and the 360fly website is full of helpful guides on how to use the 360fly 4K and the apps. 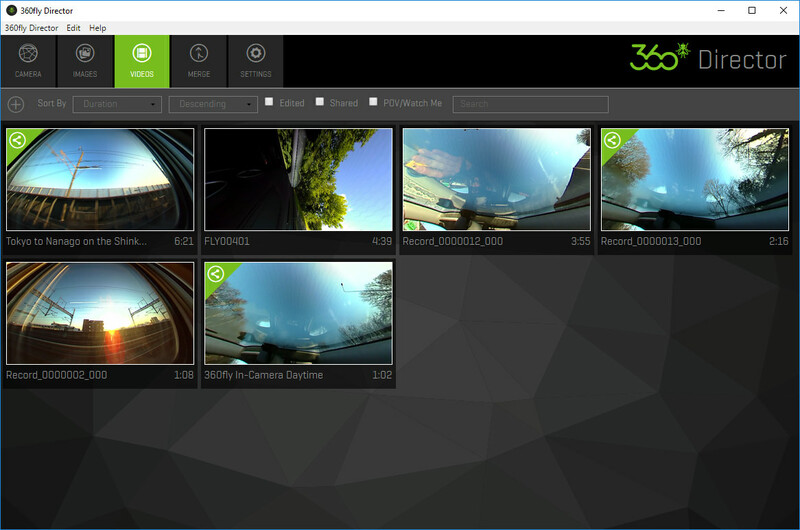 The 360fly Director Desktop software is a 118mb download from the 360fly website. 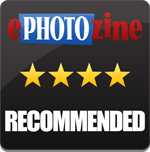 This has five main views including the camera, images, videos, merge, and settings. Settings is where you can find library settings, editing settings, and setup your connections to your Facebook, YouTube and 360fly accounts. 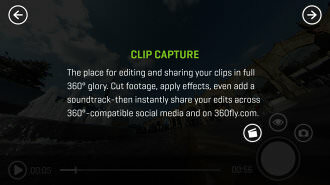 You can then export video to Facebook, Youtube and 360fly. 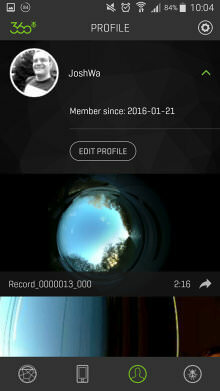 To upload the video to YouTube or Facebook the 360fly Director app has to process the video, which can take some time depending on how long your video is, how quick your computer is, and how fast your internet connection is. If you try and play the videos on your computer without using the app, then you see a square video. Using the desktop app for playback, as well as the mobile app you can zoom in and out of the video. Once you've imported the videos from your camera onto your computer, you can then export still images from video as either a still frame, or a 360 frame, and then when viewing these in the app you can then view the different areas of the 360 image. Battery life - Battery life is said to last for 1 and a half hours, which is pretty good, although you do need to use the dock to charge the camera, which can make is difficult to charge the camera whilst travelling, or whilst mounted to something. Speed - The 360fly 4K takes roughly 20-30 seconds to switch on before you can start recording video with it. Although once it's on, it's quick to respond to you press the record button, using either the smartphone app or the button on the camera. 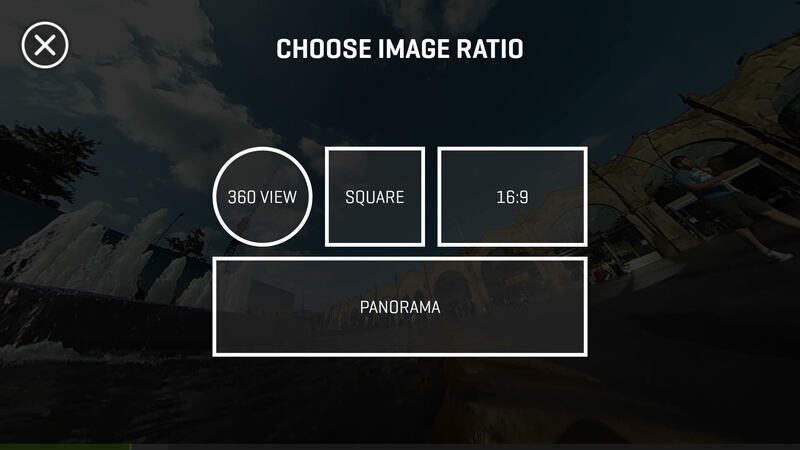 You can export photos from video, and the easiest way to do this is using the app on your smartphone, as this gives you a number of different output options, including 360 View, Square, 16:9 and Panorama. You can also apply a filter to the photos if you want. The photos shown above have been taken from this video. Video - The camera records square videos with stereo sound, at a resolution of 2880 x 2880. 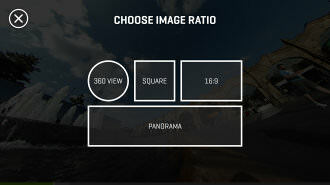 When playing back you can zoom into an area for 16:9 aspect ratio video. Results are good, and the camera does a very good job of keeping the video steady even when driving on a road that isn't very smooth. As there is so much in the frame, due to the ultra wide-angle fisheye lens, the camera can struggle to capture the full dynamic range of the scene, which is to be expected especially if you have both the sun and a shadow area in view. The more you zoom into the image, the softer the image looks. 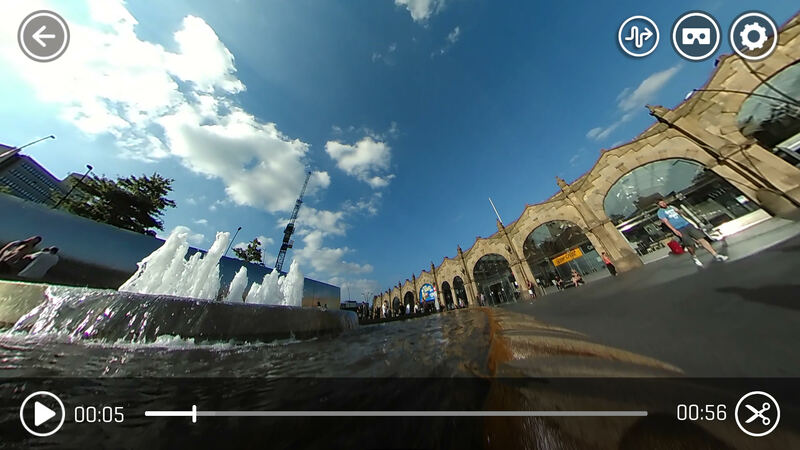 YouTube and Facebook both support 360 video uploads, although at the moment you can't zoom in and out, which is a shame as being able to control the zoom when playing back videos can definitely add to the enjoyment of the video. 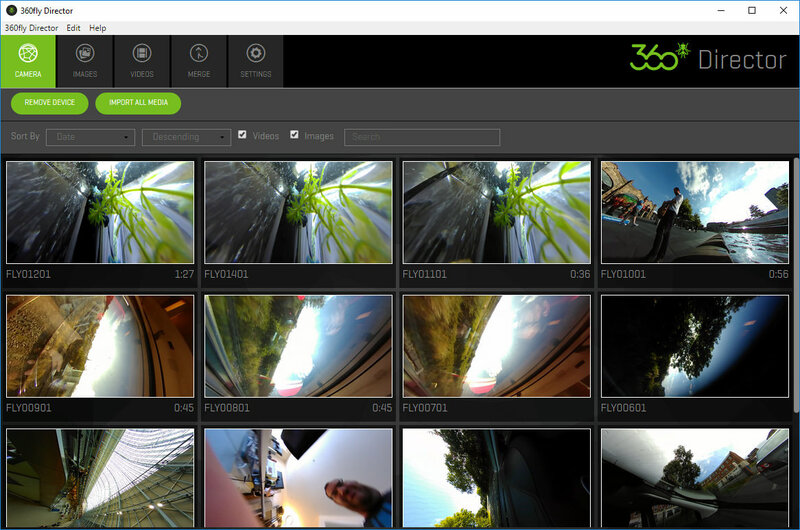 Uploading to the 360fly website is much quicker as the desktop app doesn't need to process the videos. 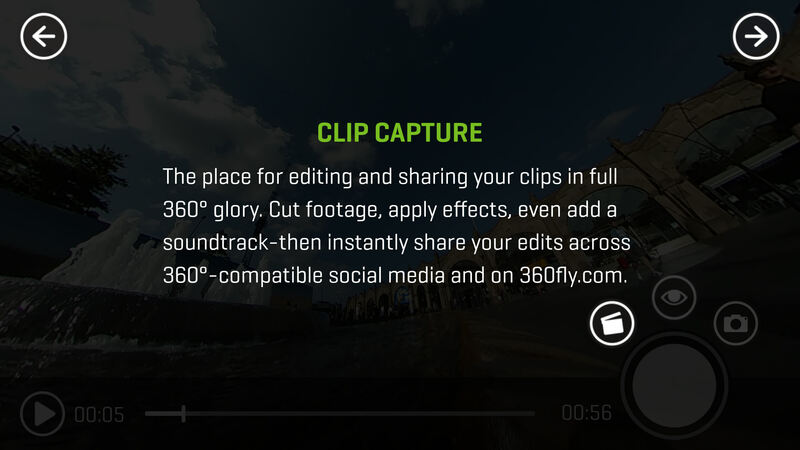 Once you've uploaded your video to the 360fly website, you have the option to embed the video into other websites, as well as sharing the link via Facebook, Twitter, and Break. We've uploaded additional videos to 360fly's website, and YouTube. Chromatic aberrations are sometimes visible, although the camera did seem reasonably resistant to flare. Sound quality is improved over the last version with stereo mics. Other action cameras are available, but they don't do 360 video or photos. 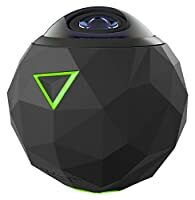 The 360fly 4K is a stylish 360 action camera that is very easy to use and as it's waterproof straight out of the box, it would make a great purchase for anyone travelling. 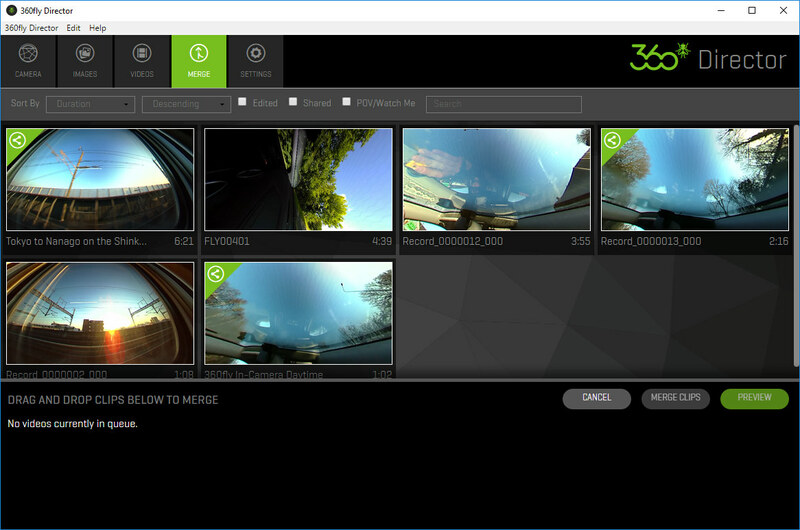 With a bump up to 4K video, and higher resolution stills images, the 360fly 4K answers our main concerns with the original 360fly. Sound quality is also improved with stereo microphones built-in. 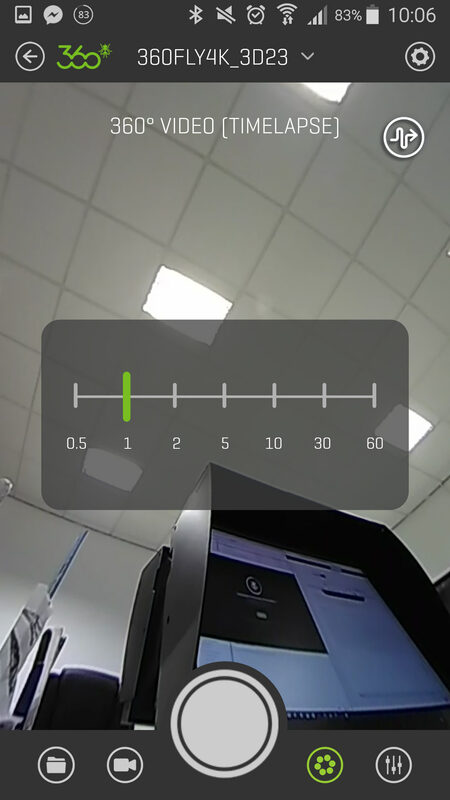 For ease of use, and good results straight away, the 360fly does an excellent job, being much easier to use than multi-camera solutions or more complicated cameras, and sharing to 360fly's website, YouTube or Facebook is straightforward. Battery life is very good, and the camera has a generous amount of built-in memory to allow 3 hours of video. The 360fly 4K impresses with it's ease of use, and overall high quality.